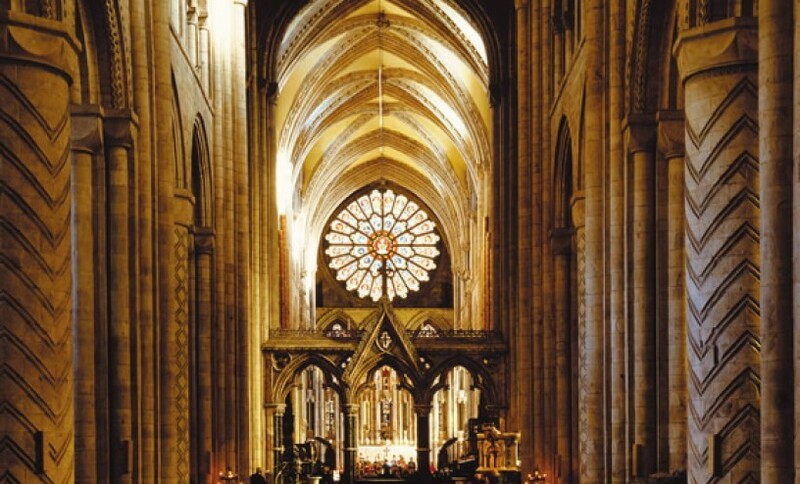 Durham Cathedral’s Rose Window is one of the most stunning stained glass windows in England. A breathtaking way to allow more light in to the Cathedral, it casts dappled colourful sunlight on to the Cathedral’s stone floor. 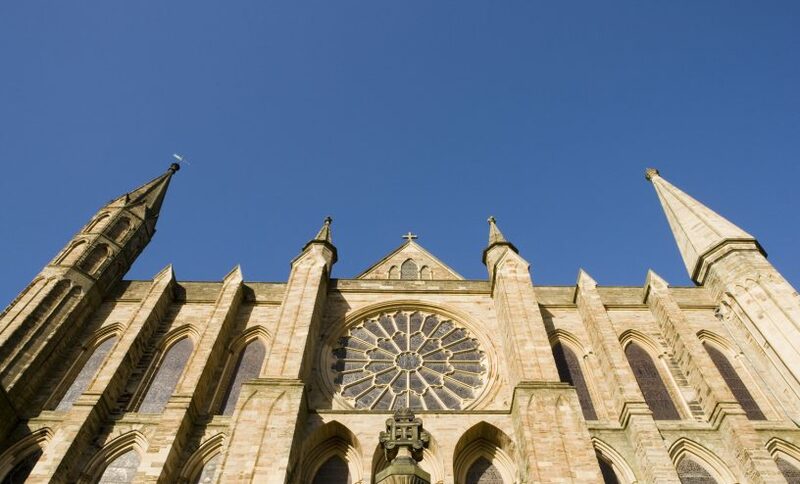 Durham Cathedral is commonly referred to as the greatest example of Romanesque architecture in Europe or as author Bill Bryson puts it ‘the best Cathedral on planet earth.